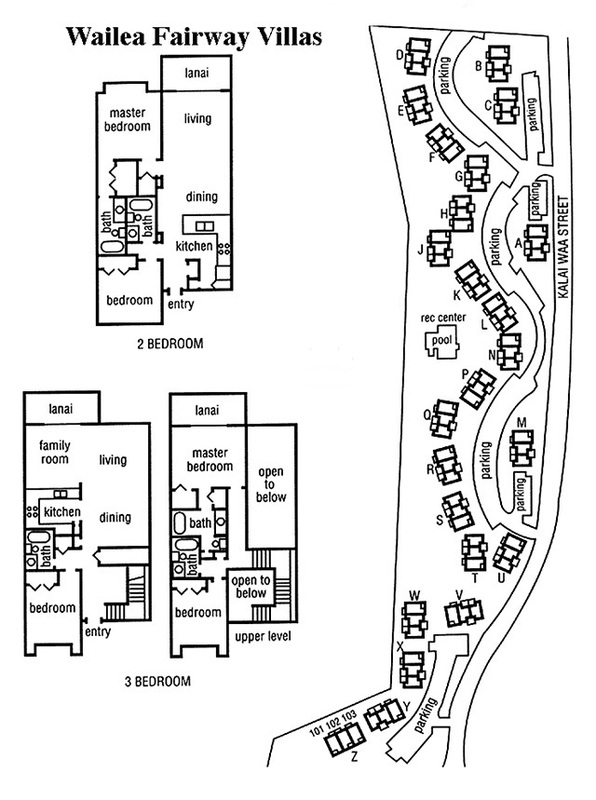 Below you will find maps of our beautiful Wailea Fairway Villas complex and the layout of our two and three bedroom homes. Please park in any space that is NOT marked RESERVED. Thank you.